Distinguished Hindu statesman Rajan Zed has been nominated to Reno Police Chief’s Impact Panel in Nevada. This Panel, which constitutes of community leaders; meets with Police Chief and other senior police officers; and discusses current events, department updates, matters that pertain to the community, etc. Rajan Zed, who is President of Universal Society of Hinduism, is a global Hindu and interfaith leader. Bestowed with World Interfaith Leader Award; Zed is Senior Fellow and Religious Advisor to Foundation for Religious Diplomacy, on the Advisory Board of The Interfaith Peace Project, etc. He has been panelist for “On Faith”, a prestigious interactive conversation on religion produced by The Washington Post; and produces a weekly interfaith panel “Faith Forum” in a Gannett publication for over seven years. 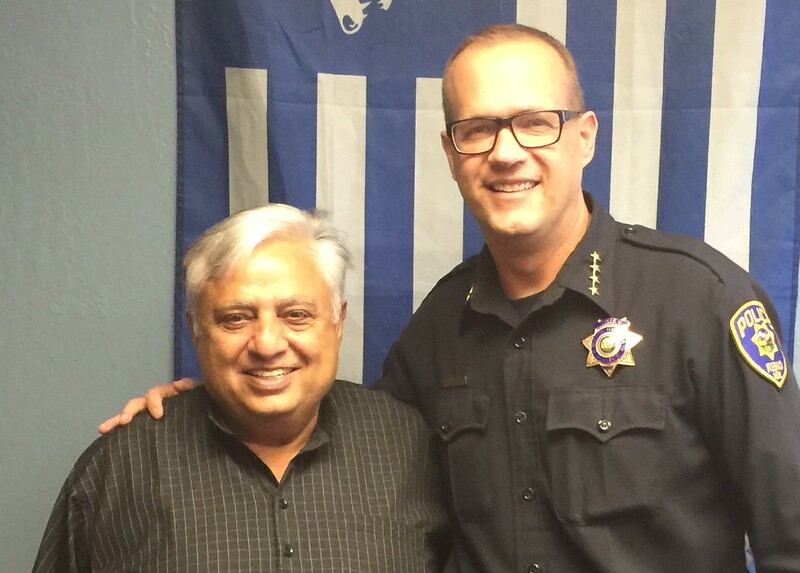 Details of the picture attached: Rajan Zed with Reno Police Chief Jason Soto after the recent Panel meeting.